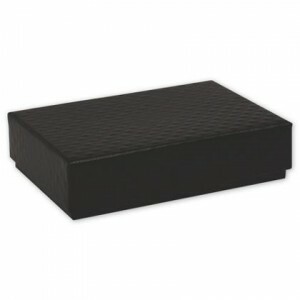 Black candy boxes showcase your homemade candies beautifully. Time for ho-ho-holding forth in the kitchen, if you’re one of those who believe that the words “holiday” and “chocolate” are interchangeable. 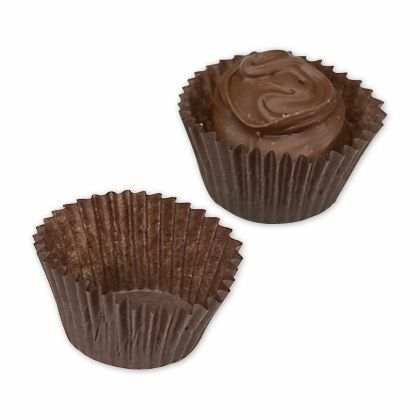 The gift of a homemade tidbit of chocolate is irresistible. The array of recipes is amazing, with truffles, toffee, barks and traditional fudge (or how about a chocolate/bacon combination?) easily available. And it’s so easy to slip that goodie into a colorful candy box just the right size and tie it up with a bow. Then stand by for holiday kudos. The real trick is to prevent family members from snarfing up the goodies before you can get them into that special box. Plan on enough to please both family and friends. That means starting well ahead of the calendar. 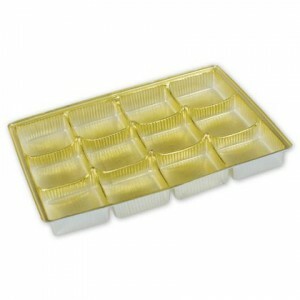 Candy trays make candy look terrific. The next issue is storing your chocolate treats while you wait for the calendar to catch up to you. Fortunately, chocolate has a long shelf life and you can take steps to assure that it will preserve its flavor, texture and appearance until the voila! moment. What you need is your homemade chocolates, candy foil and airtight storage containers. With these items on hand, you are ready to preserve your treats until the just-right opening. Use brown glassine candy cups to hold candies. To store your chocolates, tear or cut a piece of the candy foil into a square about three times the size of the candy piece. Place the candy in the center of the square and fold two opposite points of the square into the center. Seal the edges, then fold the two other opposite corners over the candy and repeat the process, pressing the foil to ensure a good fit. Wrap each individual piece this way, then put the wrapped pieces into airtight containers. Store the containers in a cool, dry place away from the sun. Your candy should be good for three months if you follow these instructions. 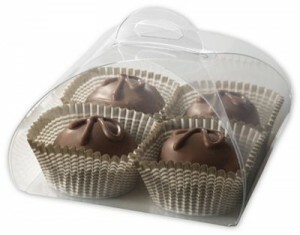 Clear candy truffle totes hold four pieces of candy. Chocolate also can be frozen. The best method is to pack pieces into retail boxes, then put the boxes into Ziplocked plastic bags. Vacuum seal or remove as much air as you can before putting them in the freezer. Finding the right decorative boxes to make the presentation as sweet as what’s inside is easy. Visit BowsNBags.com for a great variety of sizes, types and colors.